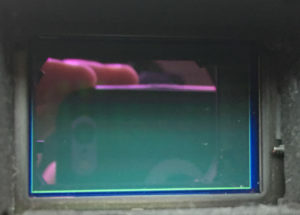 Don't let your sensor look like this! Northwest Camera can professionally clean your DSLR sensor to remove those obnoxious spots from your pictures. When we do a "sensor cleaning", we don't just clean the sensor. We also clean the main mirror and sub-mirror, the focus screen and the rear viewfinder optic. 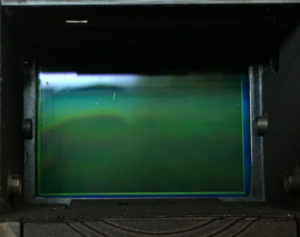 Sensor cleaning on your DSLR (Digital Single Lens Reflex) is necessary from optimum picture taking. Many times there is only a couple of dust spots that need to be removed but there are times when there are multiple spots that can ruin a picture and make it difficult to "Photoshop" out of the image. 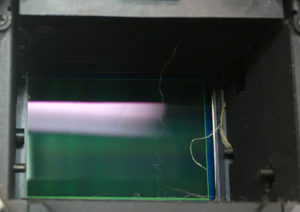 Sensor cleaning is not actually cleaning the sensor but the low pass filter in front of the sensor itself. But even so, it is possible to damage the filter if cleaned improperly. Cleaning this filter can be a frightening thought so why not let Northwest Camera take care of your cleaning for you. Northwest has been expertly cleaning sensors since DSLR's have been on the market so we have experience you can trust. Cleaning can be done while you wait, generally in about 30 minutes.